Your Avaya IP Office solution enables seamless voice, video, and mobile communications for team and customer engagement. But when a telephone system ran into trouble or need immediate addons then a reliable support is an immediate requirement. It is vital for a business to stay connected in the modern business era. We help business to be stay connected with their Avaya telephone system by offering Avaya support and Avaya Maintenance contracts. VDS offer support for Avaya telephone system in Dubai as well as other emirates in UAE. We help business across UAE with the following Avaya Services. Avaya Telephone Systems are proven communication solution for Business. Avaya provides a complete portfolio of communication products best suited for SMB as well as enterprise customers. As an Avaya Authorized partner in Dubai, we deliver outstanding communication experience to customers.Our services are not limited to Avaya product supply and Avaya Installation. We deliver high-quality Avaya Support to our customers as well as any other Avaya customers looking for Avaya Support. 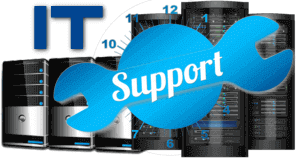 Our Avaya Support services differ based on the urgency of the support request. We can Give you highly professional Avaya Support either onsite or Threw remote support. We provide Avaya Supply, Installation and Support covering the entire UAE Region. The Areas covered are Dubai, Abu Dhabi, Sharjah, Ras Al Khaimah, Fujairah, Al Ain, and Ajman. Nothing beats the telephone system when it comes to business communication.The telephone system is the primary way to keep in touch with current customers. What happens if it doesn’t? What are the true costs if your business if your customers cannot contact you or you cannot contact them? Our Avaya support contracts are designed to maintain your telephone system with minimum downtime. We have the expertise to deal with your Avaya issues quickly and efficiently. We provide Avaya maintenance contract to companies throughout UAE includes all the emirates.Our Avaya maintenance contract provides complete peace of mind to business owners or manager as your essential business communication functions are covered. Our Avaya service contracts are reasonably priced and will ensure that business downtime is minimized.